YORK, Pa. — YORK, Pa. (AP) — A thief has returned a 255-pound pumpkin that a central Pennsylvania boy won by correctly guessing its weight — along with a note apologizing for the theft. Nine-year-old Jaiden Newcomer of York won the pumpkin at an Oktoberfest celebration in Windsor Township. 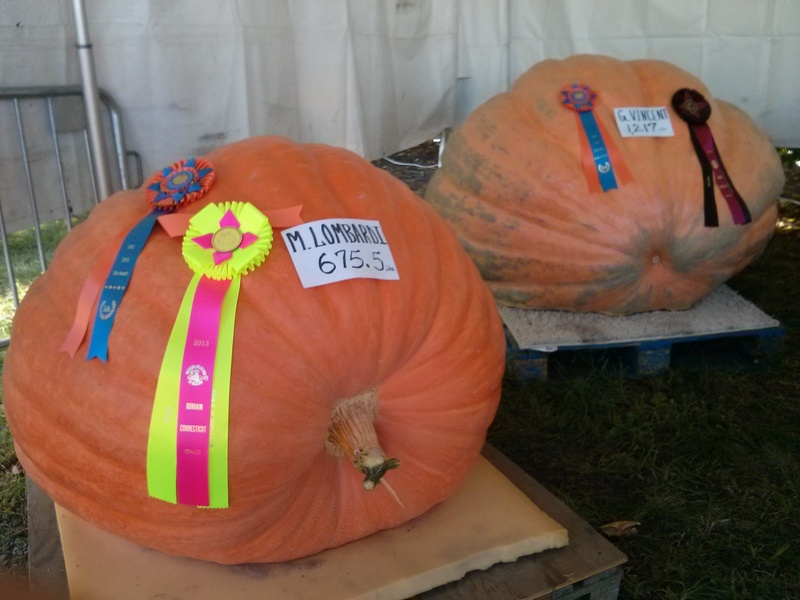 He had displayed the giant pumpkin on his family’s porch until it was stolen last week. But the York Dispatch reports (http://bit.ly/16pZ6hd ) the pumpkin was back on the family’s porch Sunday evening after it returned from a weekend trip. I’m gonna let you in on a little secret. No one steals a 250+ pound pumpkin and gives it back, with a note, unless you had no where to hide it. I picture this scenario like the movie The Barbershop. When Anthony Anderson and his bonehead cousin steal that ATM, but they have no way of opening it or storing it so they are constantly pushing it around town. Posted on October 22, 2013, in Average Blog Posts and tagged contest, Halloween, kid, stolen. Bookmark the permalink. Leave a comment.